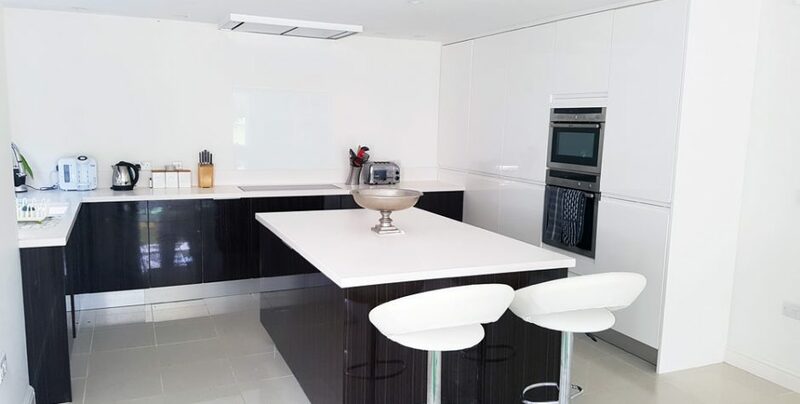 Kitchen Installation Cheltenham – Modern Two Tone Kitchen – White Handleless & Wood Veneer. 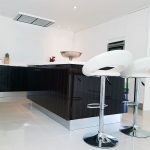 Our latest kitchen installation in Cheltenham. 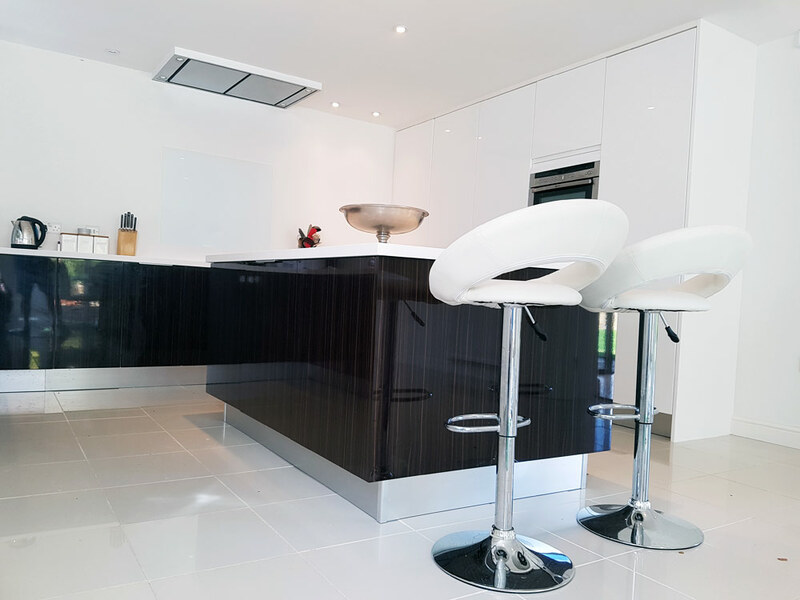 Nicky & Tom from Cheltenham contacted us to design & supply their kitchen. 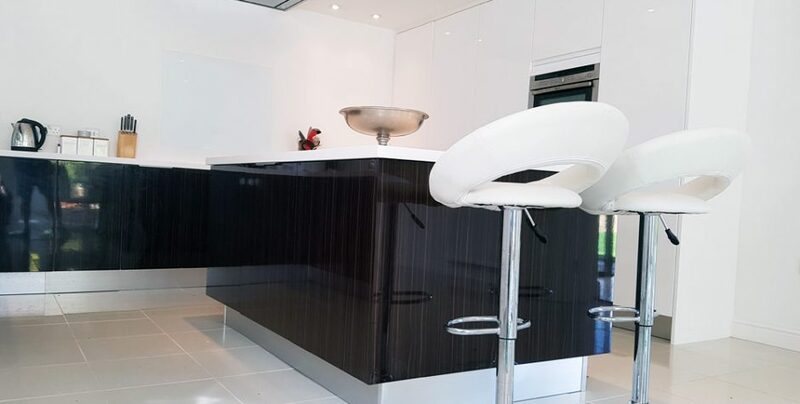 From beginning they were interested in two tone kitchen combination and after looking through our inspirational design box they fell in love with Ebony high gloss & lacquered high gloss J-pull handleless kitchen door combination. 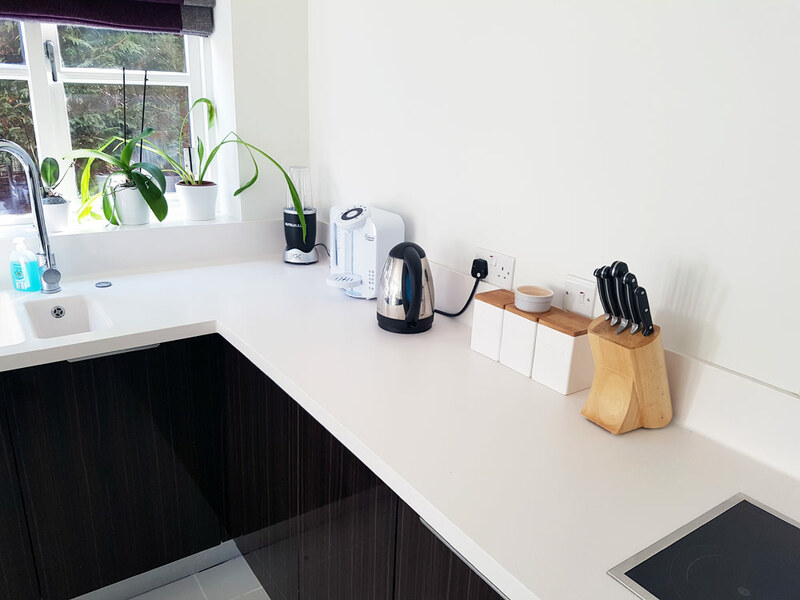 For their worktop surface they selected Corian Designer White which provides great contrast to dark Ebony woodgrain kitchen doors. 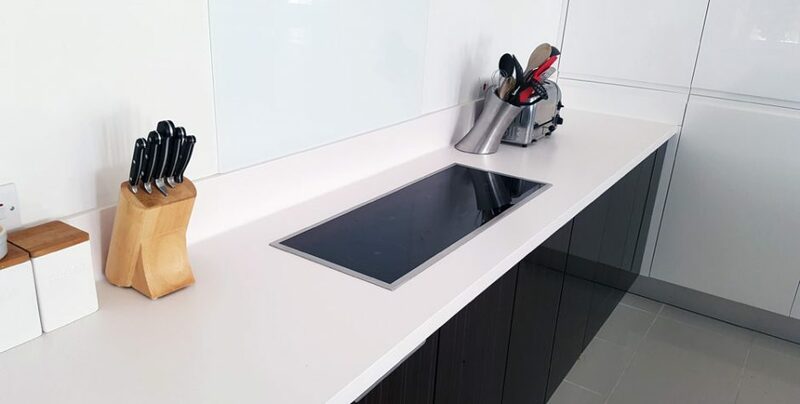 In terms of worktop features they decided to go with coved upstands which allow for easier cleaning and maintenance of the worktop surface. 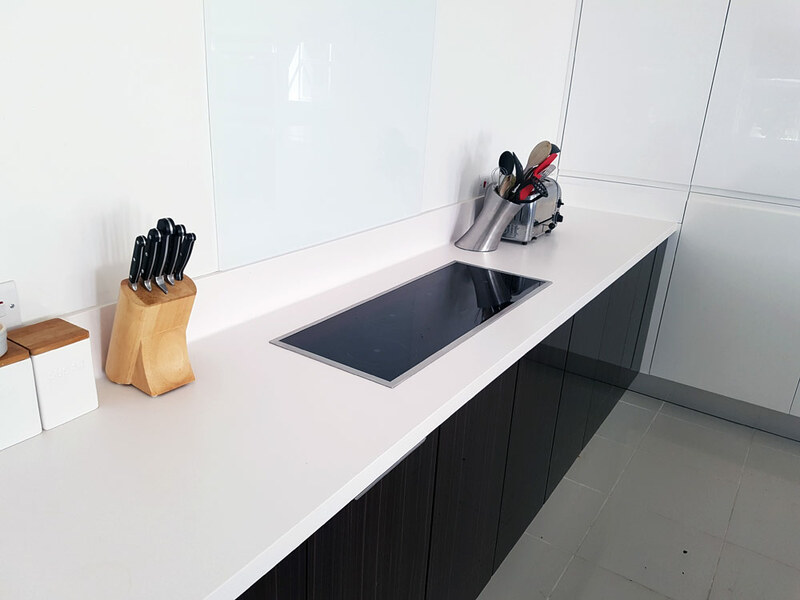 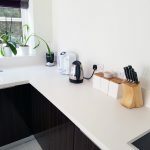 Corian worktop provided them with joint free seamless worktop surface that is easy to clean & maintain. 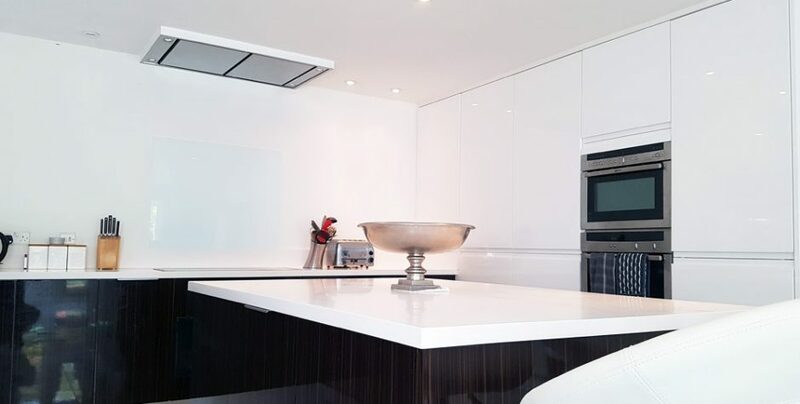 To create the handleless look on the woodgrain doors we used Blum push to open mechanisms. 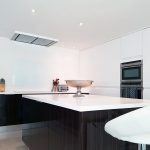 On the tall units we have used J-pull handleless kitchen door profile. 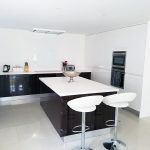 View some of the photos of their complete fully fitted kitchen below. 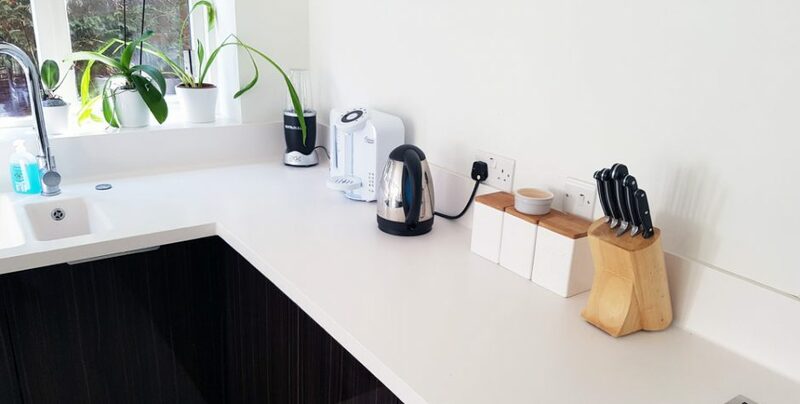 Here is what Nicky & Tom have said about working with us. 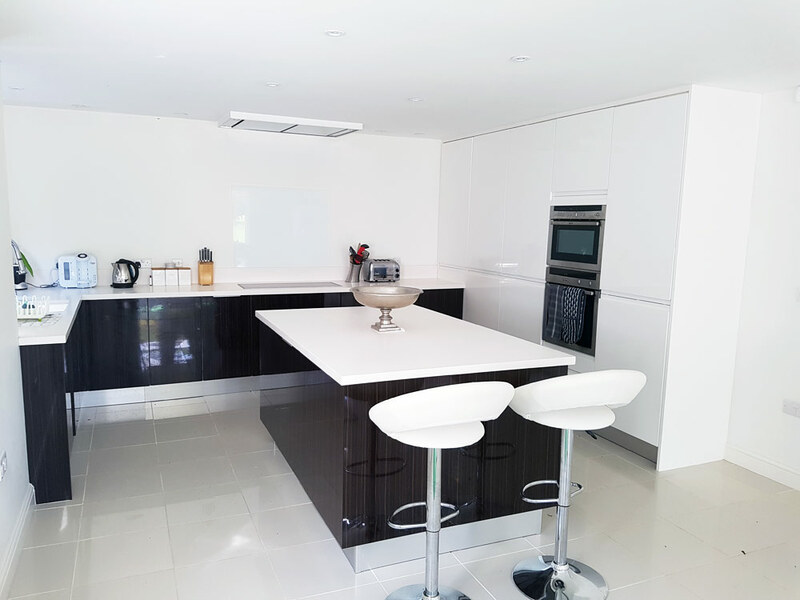 “Working with Two Tone Kitchens has been a great experience. 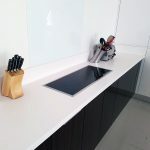 They were very passionate about kitchen design and to know they will supply our kitchen & make the worktop in their workshop are one of the many reason why we have selected them for our project. 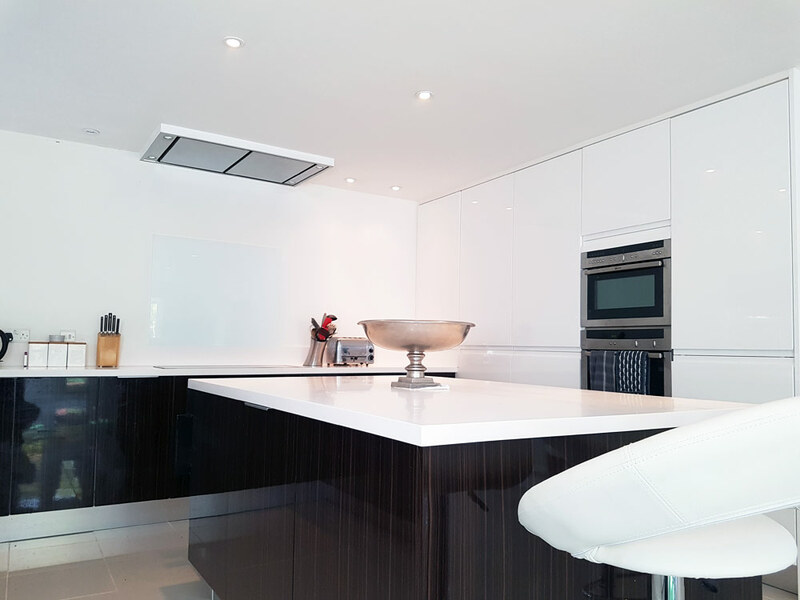 From beginning to the end we were kept informed and quality of kitchen doors and cabinets is amazing.